RotaKids is a fun and exciting way for children aged 7-12 to make friends and get involved with important activities in the community, all while having a great time in the process. RotaKids clubs are based in schools, youth groups or community centres and with the help and support from teachers, youth leaders. 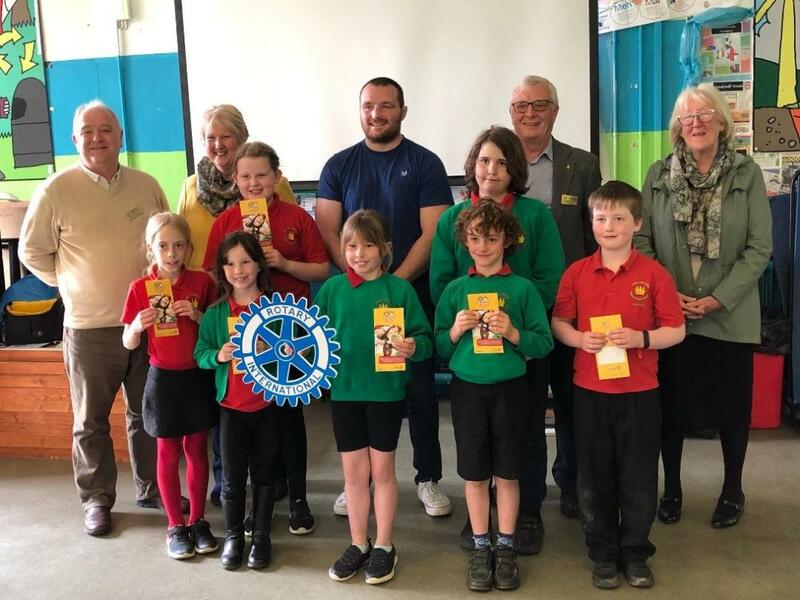 The Narberth & Whitland Rotary club has now formed a RotaKids group at Whitland Primary School courtesy of Head Teacher Mr Eirwyn Griffiths. At the beginning of the session Rotarian Mary Adams explained to the pupils gathered in the Assembly Hall that children can gain a valuable experience in helping others and learning interesting, new things. It also brings an exciting and practical approach to supporting the citizenship element of the national curriculum. 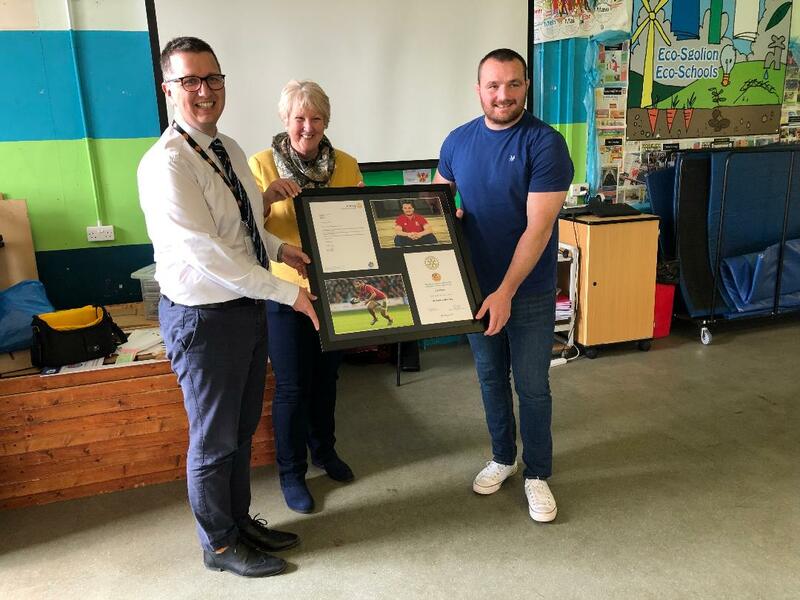 The normal school day was transformed into lovely afternoon in Ysgol Llys Hywel in Whitland when Welsh International and British Lion Rugby Player Ken Owens presented the children with their RotaKids Charter and badges. What a great Welsh Rugby Ambassador he is. 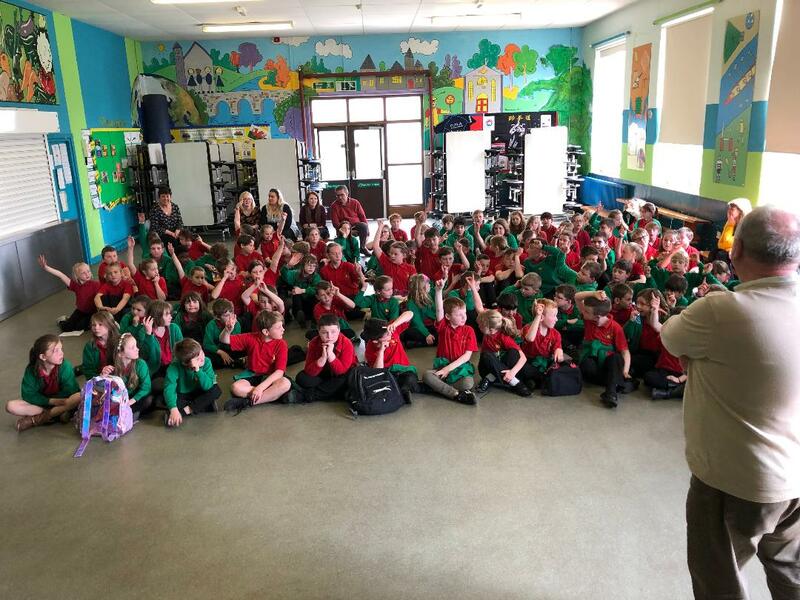 Ken answered lots of questions and the girls were especially interested to hear that his sister Frankie played rugby for Wales and WHITLAND LADIES!. 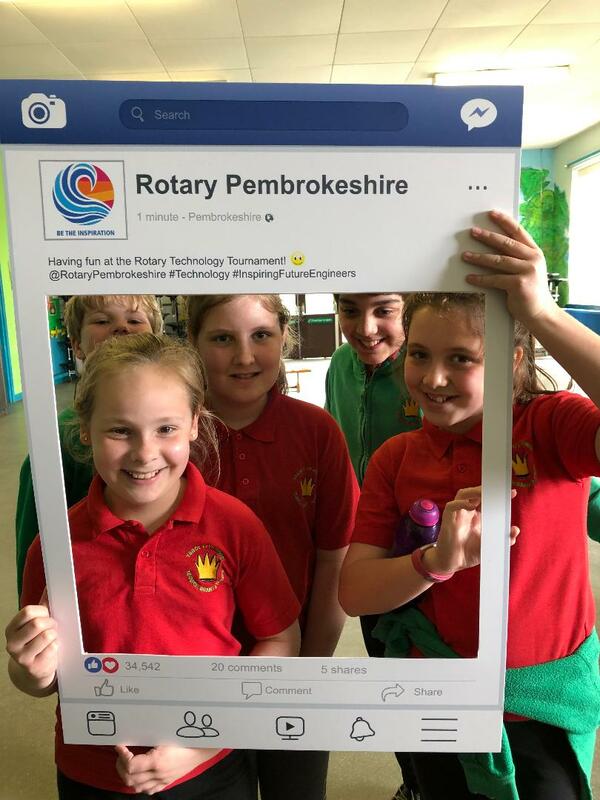 Press Officer Ken Morgan commented during the photoshoot: "The Rotary Pembrokeshire frame was out we hope the borderers in The Carmarthenshire part of Whitland don't mind the Pembrokeshire Rotary Frame!". * Collecting books for children in countries around the world. In concluding Ken Owens presented to the small RotaKids Committee a personal badge and also an informative flyer illustrating how RotaKids works. The afternoon concluded when Head teacher Mr Eirwyn Griffiths thanked the Rotarians and Ken Owens for making it a special day and called for three rousing cheers to the call: "Hip Hip" - The pupils' three Hurrahs each became successively louder which showed they really enjoyed themselves.